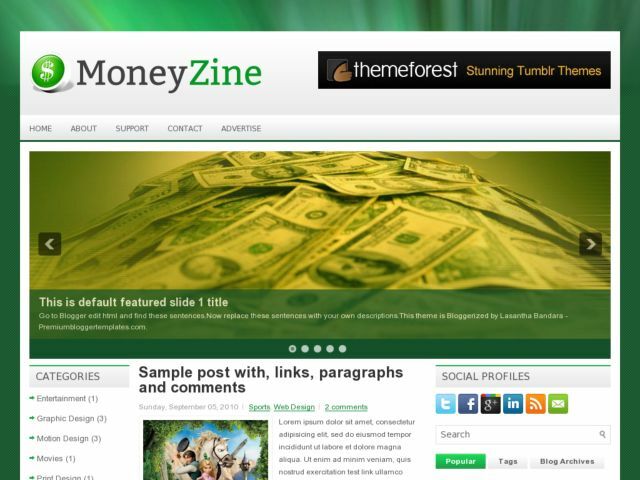 MoneyZine Blogger Template is a free magazine style blogger template adapted from WordPress Theme to Blogger Template and was bloggerized by Lasantha. Features : clean and cool design, magazine, elegant slider menu, static pages ready, social bookmarking icons, 3 footer columns and more. This template suitable for blogs about finance or business.